There Must Be More To Life Than This is an inspirational, motivational book for Christians of all ages, all backgrounds and all ethnicities. And after reading it, these same Christians may well want to pass it on to others as an evangelistic tool. This book is for Christians who believe, go to church, live good lives, read their Bibles and pray  and yet! They read in scripture of a God who spoke to his people, worked miracles, and caught people up in his purposes  and they too feel that there must be more to their life than they are currently experiencing. There is! 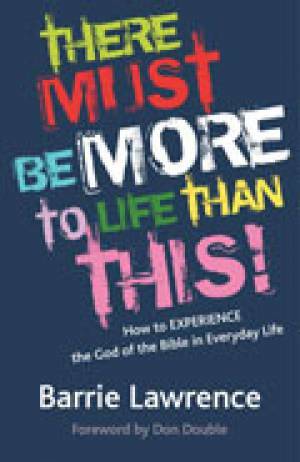 There Must Be More To Life Than This Paperback Book by Lawrence, Barrie was published by New Wine Press in January 2013 and is our 23910th best seller. The ISBN for There Must Be More To Life Than This Paperback Book is 9781905991815. Be the first to review There Must Be More To Life Than This Paperback Book! Got a question? No problem! Just click here to ask us about There Must Be More To Life Than This Paperback Book.